4.4 out of 5 based on 93 bloggers and 18 commenters. 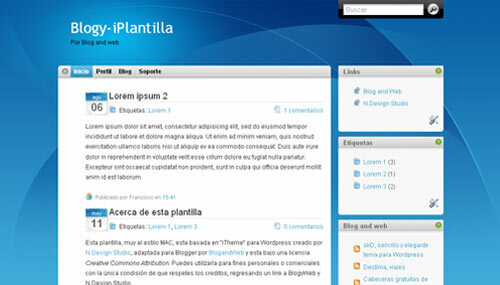 iPlantilla is a free blogger template adapted from WordPress with 2 columns, right sidebar, web 2.0 design, rounded corners and gradients. Excellent template for blogs about business, computers or software. Es muy linda pero como le agrando el panel (Lo del costado)?? Por favor respondeme!!! Muchas Gracias!!! Beheben Sie den Fehler unten und senden Sie die Vorlage erneut. Ihre Vorlage konnte nicht analysiert werden, da sie nicht korrekt formatiert ist. Stellen Sie sicher, dass alle XML-Elemente ordnungsgemäß geschlossen sind. XML-Fehlermeldung: The document type declaration for root element type “html” must end with ‘>’. Para más info de como instalarlo vayan a la web del autor. Como faço para adicionar mais colunas no blog ? I changed my template by using this one. My blog looks great. But I have one error. I couldn’t post my comments over there. Can you please tell me where I made a mistake? No, you are not doing anything wrong. 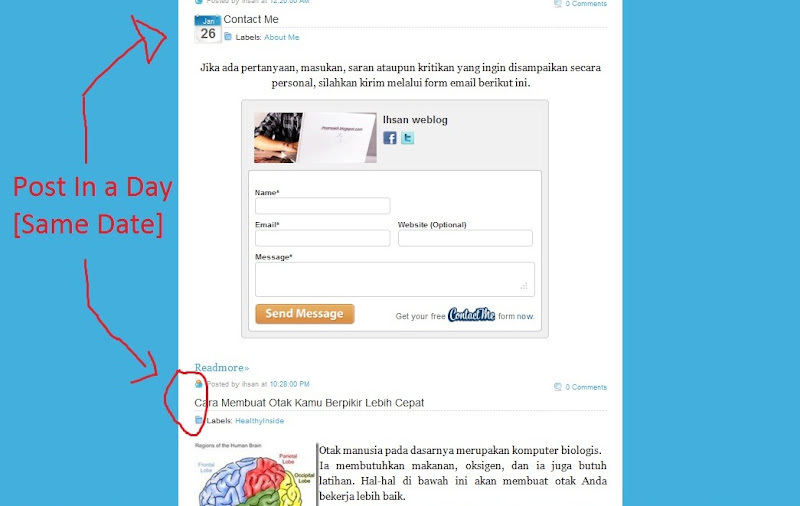 The problem happens because this is a template created before Blogger added the embebed comment form. There are two possible solutions: (1) change the way to change your comments in Settings/Comments; (2) add the missing code to your template (please, read the FAQ). I did some modifications to the original template, and now the search engine doesn’t work. Anybody can give me a clue on how to solve that problem? Hice unas modificaciones a la plantilla y ahora no funciona el buscador. Alguien puede darme alguna pista para solucionar el problema?